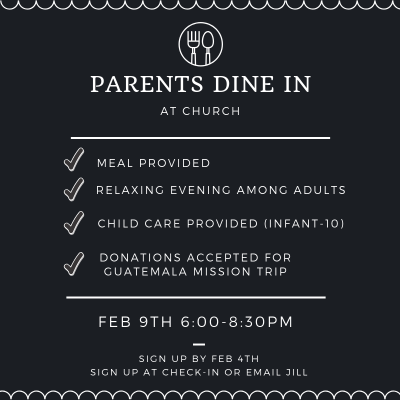 Come enjoy dinner & getting to know other CPC parents! CPC member, John Wallace, and his culinary buddies will be cooking the meal for you. John & his friends prepare dinners for families at NIH’s Children’s Inn & will be “testing” their next menu with you! Learn more about the Children’s Inn HERE. Fun activities for your kids (they can come in their PJ’s too!) while you enjoy adult conversation. Sign up today! Email Jill.